Organic. Fairly traded. Gentle for sensitive skin. Goodness you can trust. A little goes a long way. 82% certified organic ingredients. Best of British. Suitable for delicate skin and babies who may be prone to eczema and psoriasis. Cruelty free. 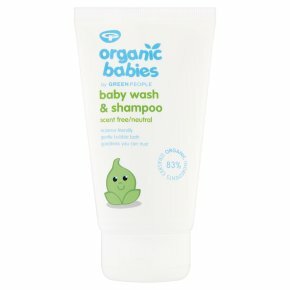 Suitable for vegans.Gentle, scent-free baby wash, bubble bath and shampoo. Organic aloe vera, yucca, chamomile extract No Nasties - PEGs, parabens, phthalates, SLS/SLES, lanolin, synthetic fragrances, petrochemicals, propylene glycol, gluten, colourants & alcohol (ethyl alcohol, ethanol).